1 class and 5 days left before I'm off to Hong Kong & Singapore! I have so much school work to do but all I can think about is the trip. It'll be my first time to both places and I can't thank you all enough for the recommendations! In looking at your picks, I love that you chose those Tory flats. I have them and bought them at Second Time Around for $79 brand new! Someone ordered they were the wrong size and brought them for consignment. SCORE! One of the best pairs I own. Have a wonderful & safe trip! Thank you! Love a good find. I'm never that lucky though! That "Wake Me For Champagne" eye mask is so fabulous!!! Have fun on your trip! I am in love with your little camera! 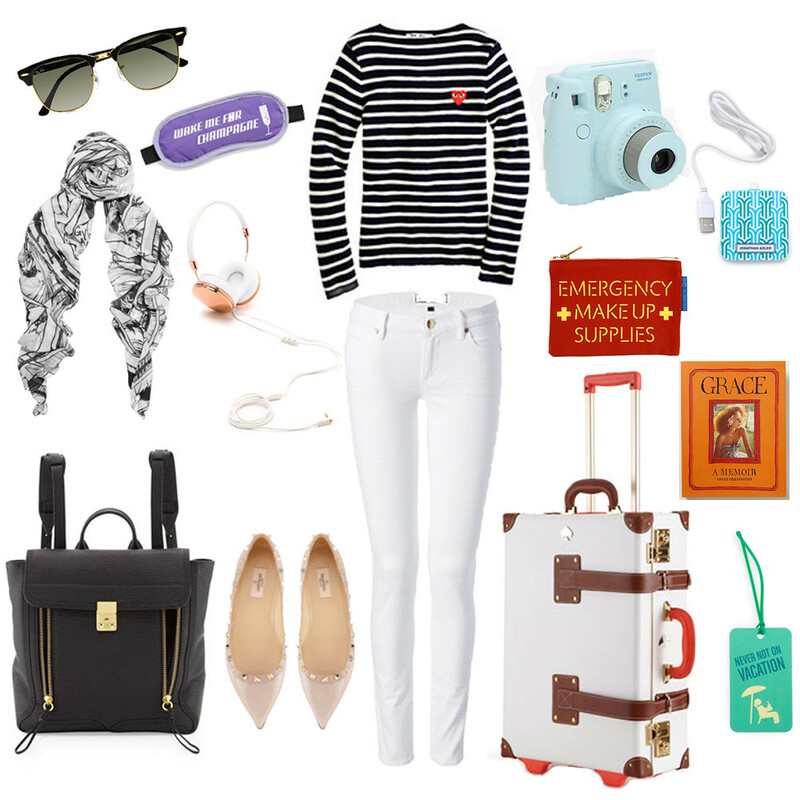 I am actually in love with your travel outfit! :P You're going to have a blast in Singapore! That city is is simply gorgeous, especially at night. My favorite part of Singapore is all the yummy street food and lights. I hope you have a blast on your vacation! There's no shortage of sensational shopping or onboard activities. Stroll down the P e or take in a game of bingo. Enjoy a book at the Library or learn something new, our romenad professional staff will teach you how to dance, skate or just have lots of fun.